We offer several options to make your bookkeeping simple and easy. From start-ups to veteran businesses, we have a solution for you. Whether you are a seasoned business owner or an entrepreneur brand new to your business, we can set up, catch up, or clean up your process for tracking income and expenses that will help you make smart decisions. We know your time is better spent with your clients than on bookkeeping. Amber’s Bookkeeping can take over your ongoing tasks, keeping your books running smoothly and efficiently every month with no worries. 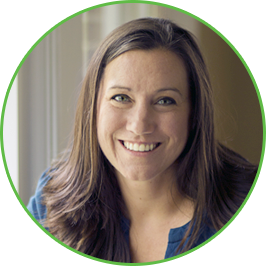 Since 2002, Amber has been working with QuickBooks and helping friends, family, and clients get their finances organized. However, Amber’s first venture is her professional organizing business, Amber’s Organizing, currently 12 years running. With numerous certifications, Amber is able to do two things she loves–organizing and bookkeeping! We are experts in finding inaccurate financial transactions that negatively affect reports and tax implications, organizing messy financial record keeping, and freeing up your time to work in your business instead of doing monthly financial tasks. You can count on reliable and speedy bookkeeping services that take stress off your plate. © 2019 Amber's Bookkeeping LLC. All Rights Reserved.